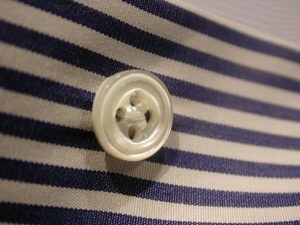 For our custom shirts, we only use genuine mother-of-pearl buttons. 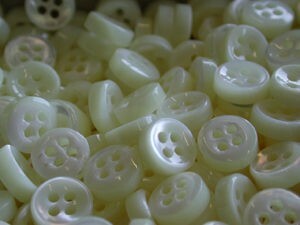 Different thicknesses and colors are freely selectable. All knobs are set by hand in the buttercup base. 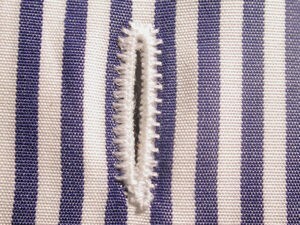 It facilitates the buttoning and provides more support than the cross stitch. 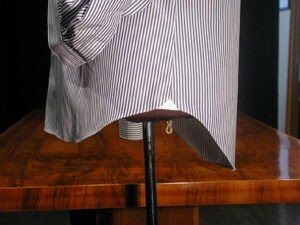 The sleeve is made with a slit and button strip to facilitate the cuffing of the cuff. 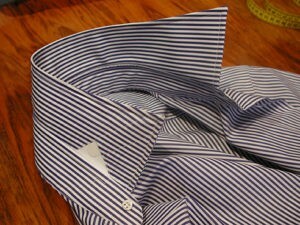 Each shirt is reinforced with a hand-sewn laundry corner at the hem. In order to optimize the fit in the shoulder region, e.g. 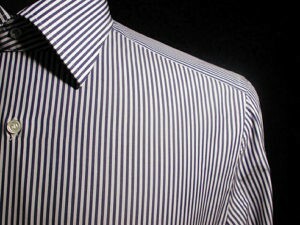 while compensating for a falling shoulder, our measurement shirts are always made with a split backpass. In particular, stripes get a more beautiful course. On request the buttonholes are traditionally sewn by hand. 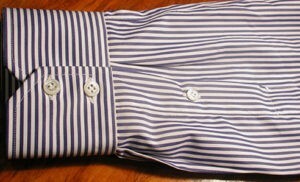 The sleeve is hand sewn by hand, which increases the comfort and prevents wrinkling in the seam after washing. 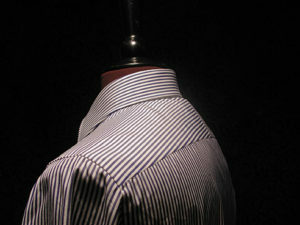 If desired, the shoulder is also sewn by hand and the collar is placed by hand. The collar can be made in different strengths and always comes with removable collar bars. 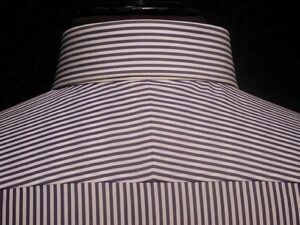 The collar of the collar is open at the nape of the neck and facilitates the flipping of the collar. All customer requests such as a monogram, the placket smooth or quilted, the shirt with or without breast pocket and many other details of the processing are always considered.